So as we enter the brand new year of 2016, we have the gift from God of another clean chapter in our lives and in our relationship with our heavenly Father and also with each other. A crisp new page in our life and faith story ready for us to write upon. So what should we do? 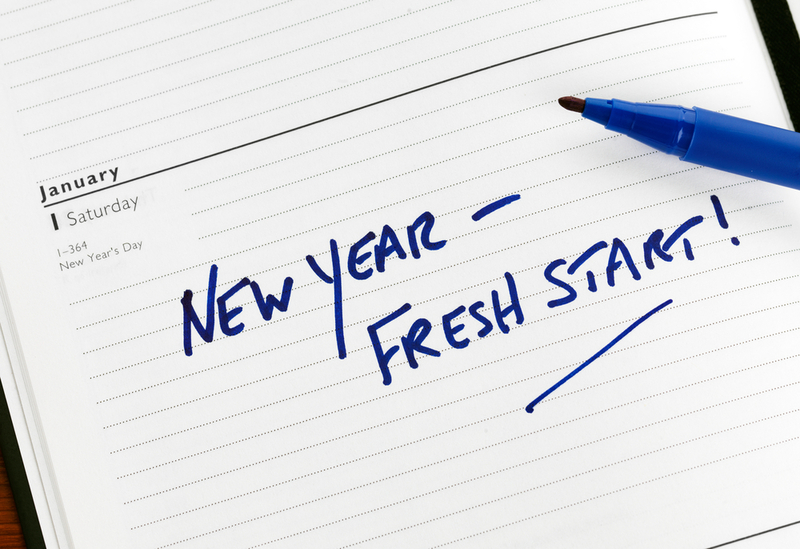 We could follow the footsteps of many who decide to make earthly resolutions. How about deciding to lose weight? How about stopping smoking? Maybe keeping more fit this year? Well these earthly resolutions are fine, but these tend to sadly be forgotten far too easily. How about seeing this New year as a completely new chance, a blessing of a new beginning in which we can focus ourselves on that fuller and closer relationship with the Father and with our brothers and sisters. We can use this new beginning to look closely at our relationships and how to apply them even more fully into our lives. Do we truly love the Lord our God with all our being? Do we truly follow the Commandments about loving God and our neighbours? When we are wronged, do we totally forgive out of love of Christ as we ought? None of us is perfect, each and every single one of us falls down in our faith and with our relationships both with God and with each other, so we can all use this new year as a new start to further become more as our lord wants us to be by looking at these things within ourselves and improving upon them. So instead of making an earthly resolution this year, myself and my house will serve the Lord. My resolutions will be holy rather than earthly and will be to gain more fully that true relationship both with God and with each of you, no matter where in the world you may happen to be as true love and faith have no earthly boundaries. So will it be weight loss? Smoking? Keep fit? Will your resolutions this year be earthly or holy? I will be focusing on what truly matters. Will you join me?